People always ask me: what’s it like being an interior designer? Apart from getting up each morning, walking my dog Beanie, along Perranporth beach; no day is the same. From a young age, I’ve always loved interior design; creating beautiful spaces influenced by nature. Space can transform the way someone feels. For me, the aura of a space is similar to my relationship with music; high in energy and filled with excitement. A recent interiors project, a six bedroom holiday home on the coast in Cornwall, offered a beautiful space for creativity. The property has a first floor open plan living space, which overlooks ever-changing views across Mawgan Porth. The coastal colours from the windows pour into the space, which inspired a coastal chic interior. I’m naturally drawn to coastal colours; blues, greens, greys, and yellows, because of my time spent by the sea. The colours found in nature, add pop of vibrancy to a room. You can feel a real buzz of energy from bright, natural colours. As a child, I remember playing with fabric colours and patterns. Our family home had an annex on the end, which my great grandfather lived in for a while. I used to love playing at this end of the house, as the space felt comforting and safe. Diving into his drawer of beautiful linen and fabrics, which belonged to my great grandmother, I created a colourful play space using the fabrics and furniture. This memory resonates in my mind, as my desire to play with textile and colour, ignited my passion for interior design. In my teenage years, I was engrossed in the latest fashion and interior trends. When my eldest sister got married, I moved into her bedroom. My parents gave me free reign to decorate my new space. Inspired by current trends in the 70s, I choose Laura Ashley floral wallpaper with planta de gardenia in French blues and pinks. On one wall, I created a collage of inspirational fashion and interior images. I liked collecting eclectic antiques to display in my room; like an oil lamp which sat on top of my glass top dressing table. It was a space created with intention. For me, interior design should have meaning and should not only look good but feel good too. 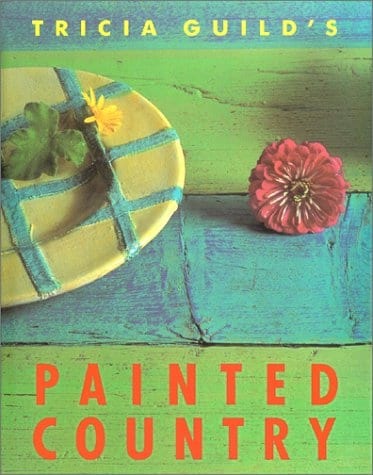 One of my favourite books is Painted Country, written by renowned British designer Tricia Guild. The book captures the idea of feeling found in interior decoration. Tricia talks about restoring a farmhouse in Tuscany; celebrating colour and landscape. I have always adopted this ideal in my work, as I believe interior space should reflect its exterior environment. When preparing to meet a client, I think about the location I’m visiting. I start to envisage colours and textures which will sympathetically complement space and landscape. One of my favourite design projects to date harmonises coastal scenery with the interior space. Panorama provided me with a blank canvas to work from. There was a real energy to the property’s location; elevated high above the beach below, exposed to the elements. Working with the sky, sea and coastal colour palette, I created a space which flowed with its dramatic outlook. Interior design is about adopting a style, and having the confidence to experiment with colour and creativity. Not to be afraid to adapt your style based on landscape, feeling or colour.